The Paris Motor Show is shaping up to be a busy one for Chevrolet. Following announcements in recent weeks that it'll be showing its Orlando MPV and Cruze hatchback for the first time, it's also set to pull the covers off the new Aveo supermini which will arrive in the UK in Autumn 2011. The Aveo RS show car was displayed at the Detroit and Geneva motor shows earlier in 2010, and with the final production-ready model, Chevrolet keeps it close to the earlier concept. Reminiscent of the recently introduced Spark, the Aveo is designed to appeal to younger buyers, looking for a hot hatch look without the running costs. 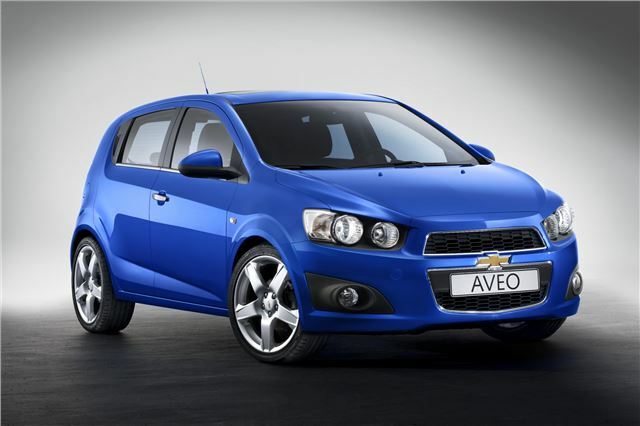 Chevrolet says that it also expects the new Aveo to appeal to families, too. Wayne Brannon, president and managing director of Chevrolet Europe says: "It's just such an exciting time to be at Chevrolet; not only do we have new entries into the MPV and compact classes, in Aveo we have a car which is ready to compete against the best in the small car segment, which is also Europe's largest segment." The new Aveo is longer and wider than the current model, giving it a spacious interior and cargo volume that is among best in its class. The interior design perhaps holds even more surprises than the outside, in particular the motorcycle-inspired instrument cluster which features an analogue tachometer combined with a digital speedo and warning lights. Upmarket blue backlighting features on the centre console while the whole of the front cabin is enveloped in a wrap-round fascia. This can be colour-coded and flows from the dash into both the driver's and front passenger's doors. Aveo customers will appreciate the quality materials used in the interior as well as multiple storage spaces in the center stack and the modern audio system with USB, aux-in and Bluetooth functionality. A range of four cylinder petrol and diesel engines will be available in the new Chevrolet Aveo, incorporating the latest technologies such as variable valve timing, double continuous variable cam phasing and common rail fuel injection for the diesels. The petrol engine range includes a 1.2 litre version (at 86 hp) and a 1.4 litre unit (100 hp). For the first time, Aveo will be offered with two versions of a 1.3 litre diesel engine (at 75 hp and at 95 hp) featuring Start/Stop technology. Chevrolet's first six-speed automatic transmission on a small car will feature on the Aveo 1.4 as an option while manual transmissions are five or six speed depending on engine choice.